Glendale Cedar Arbor Kit | Free Shipping! Price is for arbor only. Planters shown in photo are not included. The Glendale Arbor is a classic arbor with graceful curves and airy lattice side panels that are perfect for a range of climbing plants. 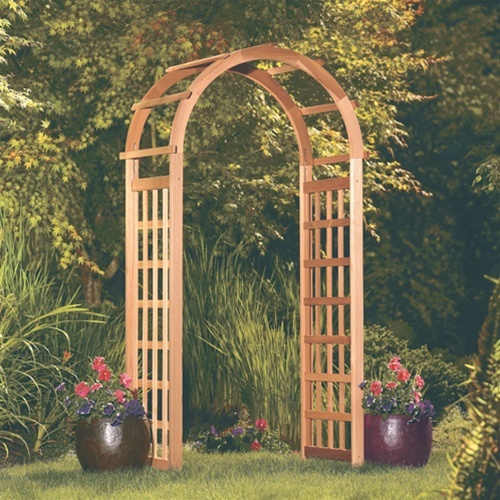 Don't let its modest price fool you... this arbor is constructed of premium grade Western Red Cedar with finger jointed arches of 2" thick clear cedar. This beautiful piece will serve you well for many years. 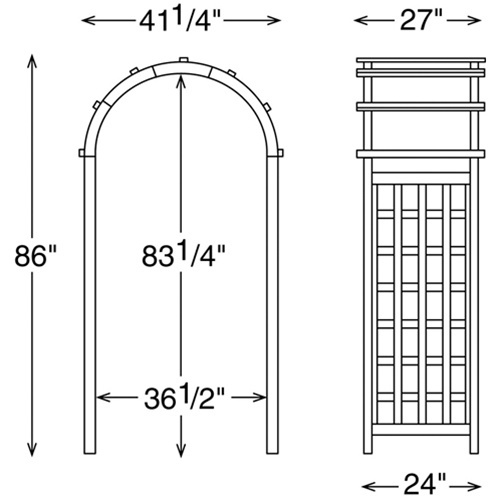 The Glendale can also be used in conjunction with our 36" Garden Gate (sold separately). Shipping carton dimensions: 65" x 24" x 6"